The security requirements of a single-family home are different from those of an SME with contracted personnel, and very different from those of a corporate building with a security department, so it is necessary to assess different factors when choosing the Security cylinder that better suits. 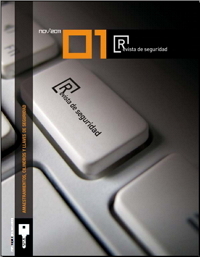 The prestigious publication “Revista de Seguridad” has analysed 37 security systems from 15 European manufacturers and has compiled a comparison dividing these factors into five blocks: identification, performance, protection, after sales service and recommended sales prices. In the tests carried out for the analysis, has been given great importance to the security of each system in the section of PROTECTION, especially to the techniques of opening without violence. For this, they have made bumping tests, false keys and near-code tests. 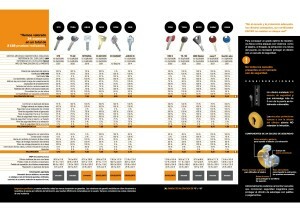 They have been tested in six security cylinder and 24 keys per system. In total, 222 cylinders and 888 tested keys. During tests against violent attacks (drilling, breaking and extraction), it has been proven that most of the security cylinders tested do NOT withstand a real attack even though they have been certified by UNE1303. At this point it is essential to reinforce the cylinder with the installation of steel elements specially designed for the protection of cylinders.